The Scheme was launched in 2008, following the 2002 Police Reform Act, which made several changes to police powers. Organisations which work closely with the police can be given limited policing powers by the Chief Constable, Stephen Kavanagh, enabling them to deal with antisocial behaviour, low-level crime and disorder. These powers can include confiscating alcohol and cigarettes from underage people, issuing fixed penalty notices for littering and dog fouling, and requiring abandoned vehicles to be removed. Chelmsford City Council was one of the first organisations to become accredited in 2008. Since then, Essex Police have given specialist training to a number of Council officers to help them to use these powers effectively. They can deal with minor antisocial behaviour directly rather than needing to call police out, meaning that issues can be resolved more quickly for the residents who are affected. Currently, 23 officers at the Council are accredited. They work in a number of departments, including public health and protection, housing, street care, CCTV and parks. 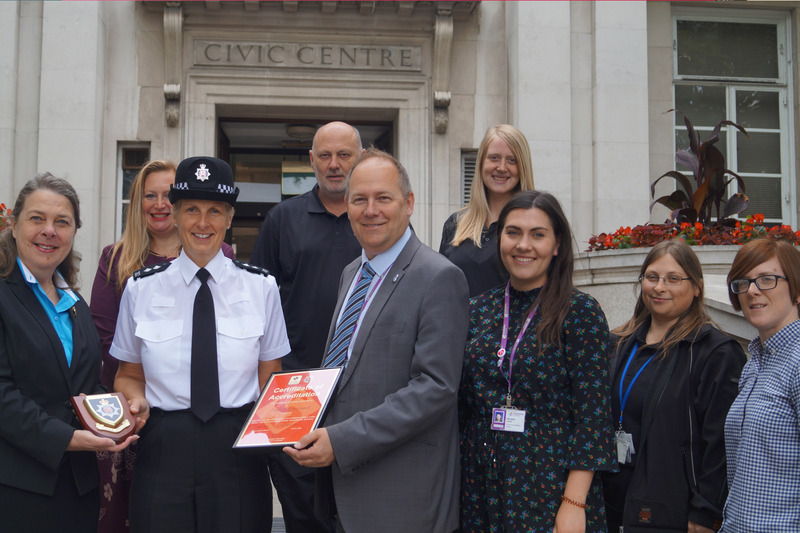 Councillor Susan Sullivan, Cabinet Member for Safer Communities, said, "We are proud to have been part of the Community Safety Accreditation Scheme for the past ten years. We work in close partnership with Essex Police and other organisations, sharing information and powers to present the united front that makes Chelmsford such a safe place to live." For more information about the Community Safety Accreditation Scheme, please visit http://www.essex.police.uk/about-us/accreditation-scheme.